Aftermath? Retrospect? Yes, another special show on a very special festival. This time about E-Live, which took place just a week ago, presenting a cool location and musical line-up this year. Of course, with lots of music related to this event by Faralley, Remy, Ron Boots/Frank Dorittke/Harold van der Heijden, Spyra, Stephan Whitlan, and Synth.NL. Being back with some more beats tonight, episode 59 gives you electronic music with lots of drive. Starting with a track from the new album by Stefan Erbe, followed by meaty tracks by Ashra, Martha Rabbit, trouby, and the Union Taste, and closing with chill out by Craig Padilla. Spanning a musical bridge from India to U.S.A., fantastic music to enjoy in a 30 minutes episode number 58. On the menu tonight are Alpha Wave Movement, Cadenced Haven, ideation, Jerome Froese, and one intoxicating track from Remy's just released album Exhibition of Dreams. It's always a pleasure to say, another great EM festival is knocking at our doors: E-Live 2009 is coming up. In two weeks, in Oirschot (NL), we will be able to enjoy such great artists as Spyra, Pollard/Daniel/Booth, Stephan Whitlan, and Faralley on stage or in the Lounge, respectively. So tonight's show is a sneak preview on that event, having all acts except of Stephan, plus an exclusive premiere track from the new Synth.NL album, which will be released right at the festival, and the just released album by Create, who also will be in Oirschot with his own stall. It's christmas time ... well, not yet, although one could think so, seeing all the Lebkuchen and sweets in the stores. Ok, so it's 3 month ahead, but time to start thinking of syndae christmas 2009. Aside that, episode 55 gives you some really nice treats on ambient and relaxing music tonight. A show to take your time and dive into your mind. Tracks on the show by Bluejooz, Modulator ESP, Picture Palace Music, Robert Fox, Tony Gerber, usr/sbin, and UtopiaXO. Fresh and refreshing music today on episode 54, featuring a good Boddy and introducing several 2009 album releases. Bringing to you tracks by Alluste, Dorian, Ian Boddy, Martha Rabbit, The Redundant Rocker, and Vanderson. In this final Electronic Circus special, you get brand new music to be released right on the festival, and music by artists visiting the biggest german EM event of 2009. Episode 53 of your podcast on fine electronic music serving you tracks by Ashra, moonbooter, Nattfrost, Robert Schröder, and Synth.NL. 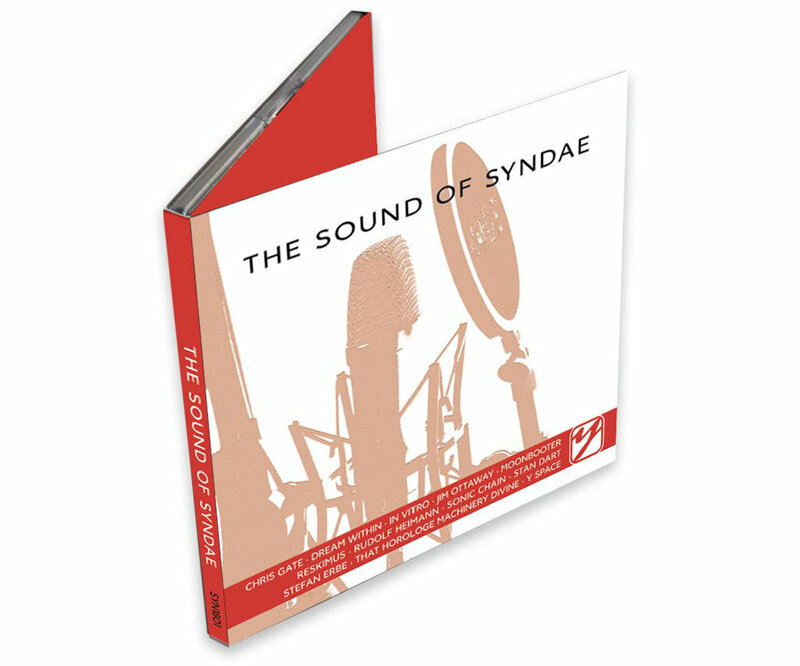 Tonight, the first regular episode of syndae in 192kbps quality! Please, let me know what you think. Another very special episode of syndae tonight, bringing to you the finest in electronic music. Show number 52 featuring the brand new album by Picture Palace music named Natatorium, giving us magnificent fresh sounds from Berlin by Tangerine Dream keyboardist Thorsten Q. Quaeschning. Further on, great beats from the Netherlands by Hardmoon, a chilling space travel by moonbooter, and vibrant greetings from Uwe Reckzeh.